I want to thank all the wargamers who have volunteered to help with this massive diorama project. You’ve answered your country’s call for sure! Your work and skill is very much appreciated by all involved in the WW1 exhibition we’re putting together. 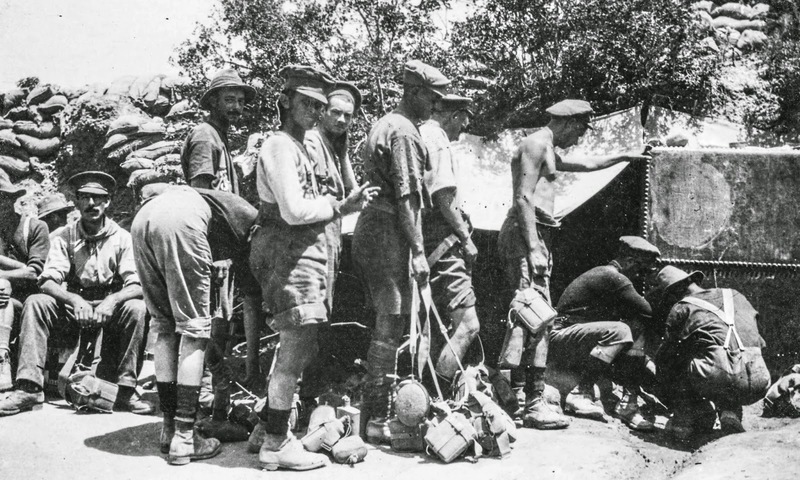 Chunuk Bair is a battle more and more New Zealanders are becoming aware of, but few really understand what it was, and fewer still can visualise it. In a museum, there are very few ways to depict the scale of the battle, with over 1000 New Zealand and British troops under attack by thousands of Turks, across a 400 yard long crest - but we thought a miniature was the perfect way. The diorama itself will be huge - over 10m long - with the terrain accurately re-created from a digital scan of Chunuk Bair itself. High resolution scans of aerial photos taken in October 1915, reveal the remains of the New Zealand trenches, so those will be positioned exactly as they were in August. Thanks to your efforts, we’ll be able to create an accurate and lasting impression of the struggle Kiwi soldiers found themselves in, mid-morning on August 8th, 1915. I’ve been looking at your work as it’s been posted on this blog, and it’s terrific! My only suggestion would be to vary the colours of the New Zealand shirts a little more. 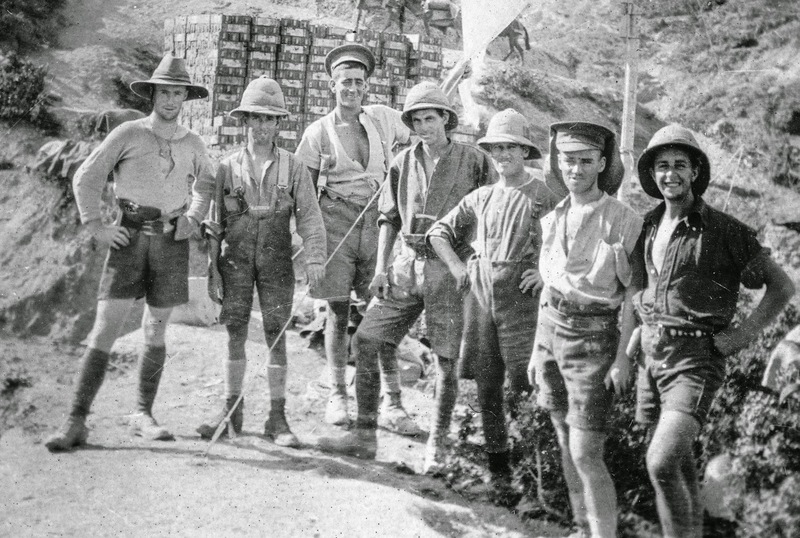 There are no photographs of the Wellington Battalion on Chunuk Bair, but we know the attack orders from General Godley specified “shirt-sleeves only”. 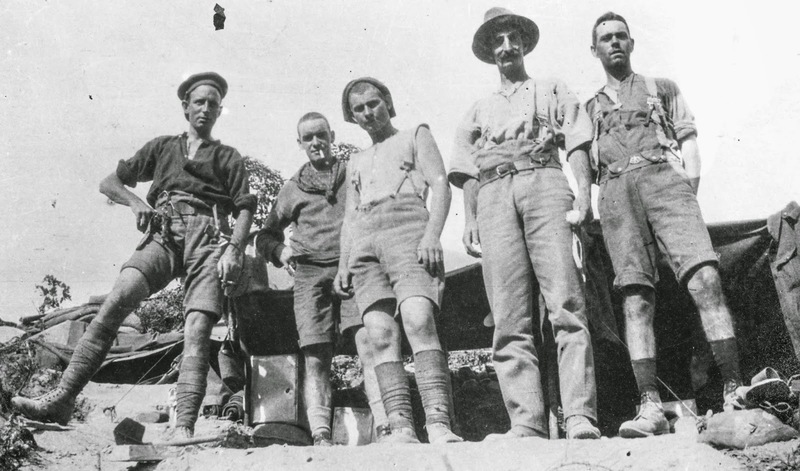 In Gallipoli by August, most sense of military correctness had been thrown out the window. 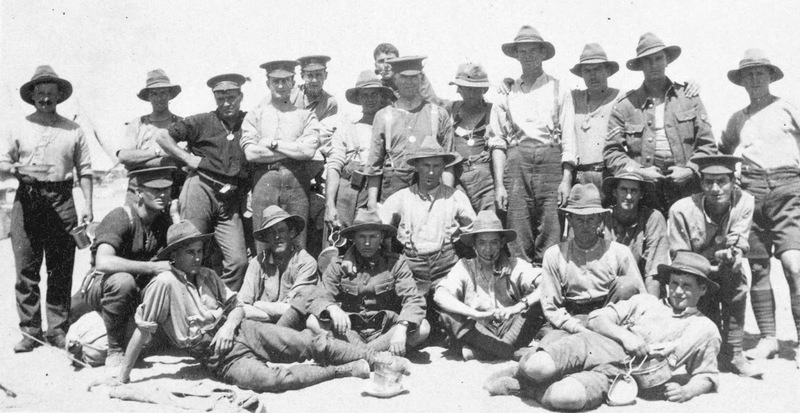 Far from stepping off the parade ground, by August the Anzacs were known as “The Scarecrow Army”. Soldiers were receiving parcels from home, and new shirts from Mum were often included. So despite the painting guide instructions, I would encourage future New Zealand figure painters to give yourselves permission to mix it up a bit. Grubby white shirts, olive green, dark blue, light grey - all would be fine, and it will give the diorama an accurate look. The photos below will give you a sense of the wide variety of shirt colours.